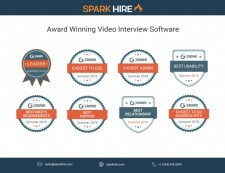 CHICAGO, July 31, 2018	(Newswire.com) - Spark Hire (https://www.sparkhire.com), the leading video interviewing platform with more than 4,000 customers in over 100 countries, has been named the Market Leader in the video interview industry by G2 Crowd, a popular software user review site. Spark Hire’s Relationship ratings were highlighted by "Quality of Support," which scored 97 percent, and Spark Hire’s "Ease of Doing Business With" was 100 percent compared to the category average of 91 percent. 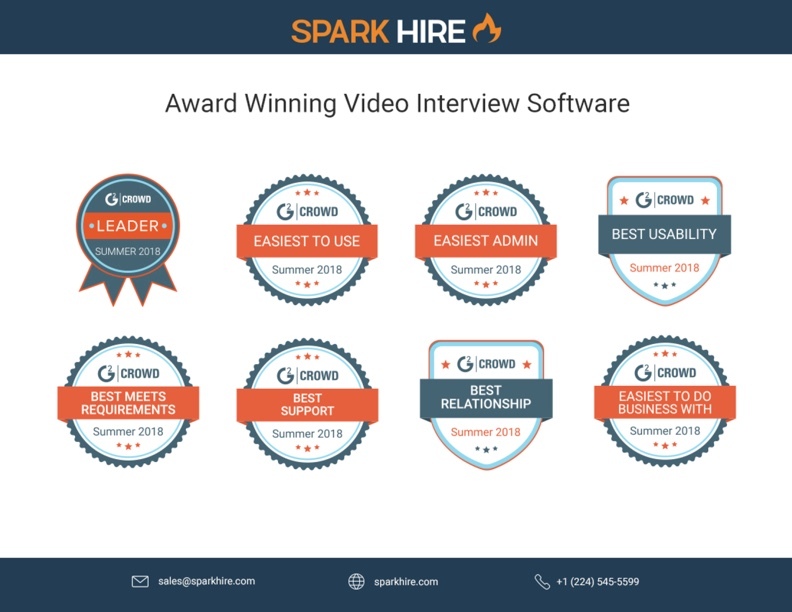 Spark Hire’s Usability ratings were highlighted by "Ease of Use," which scored 95 percent, and "Ease of Admin" was 98 percent compared to the category average of 88 percent. The Relationship and Usability Reports are based on ratings by business professionals. Spark Hire received ten or more reviews and five responses for each of the relationship-related questions to qualify for inclusion in the Relationship and Usability Indexes. To learn more about Spark Hire’s video interviewing solution, request a demo here. Spark Hire is an easy-to-use video interviewing platform with 4,000-plus customers conducting video interviews in over 100 countries. Since launching in 2012, Spark Hire has become the fastest-growing video interviewing platform. Organizations of all sizes are utilizing Spark Hire to make better hires faster than ever before. Pricing for unlimited video interviews starts as low as $49 per month with no contracts and no setup fees. Learn more on sparkhire.com.